This humorous gin & lemon or lime print is sure to tickle friends and family who love a little ‘mother’s ruin’! 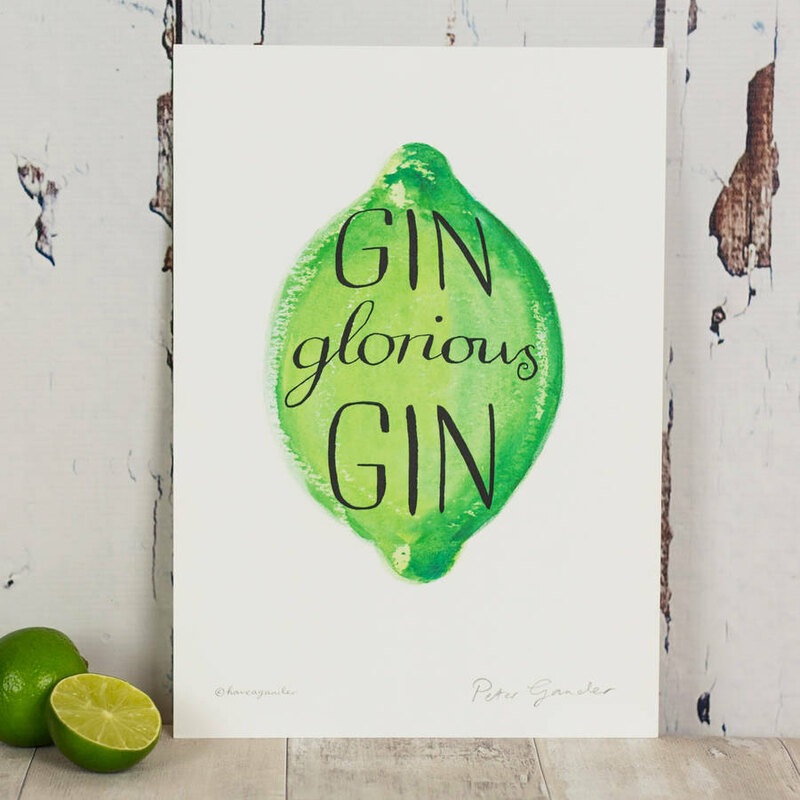 Classically simple, colourful and eye-catching, this calligraphic hand-drawn design makes a great gift for gin lovers. Available in an A4 standard size. 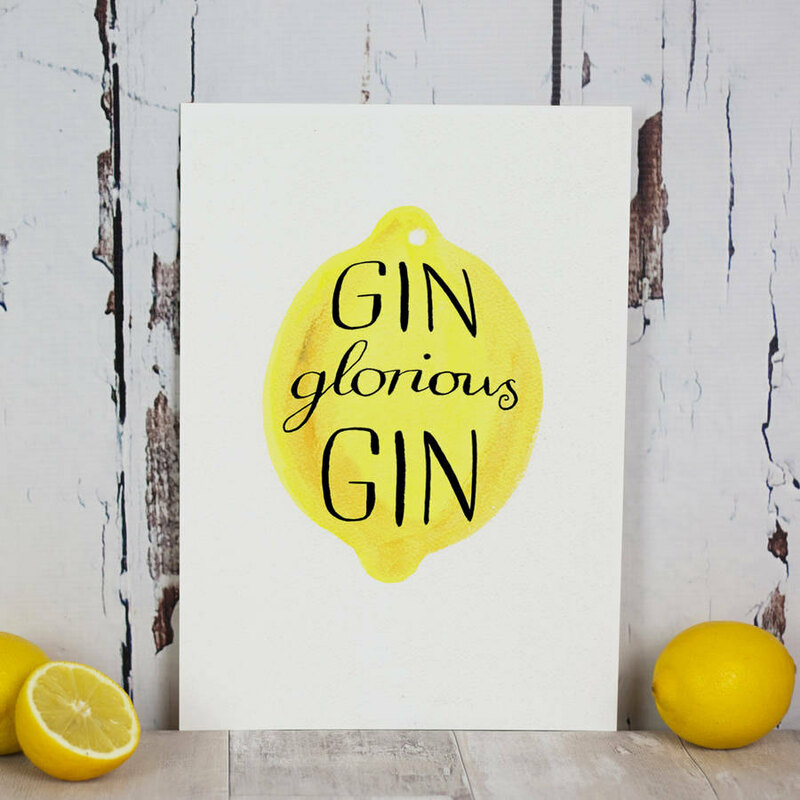 You can even ,Personalise it with your own message, message will appear along the bottom of the print.